This wheat free, no mess blend of high energy rich seeds will attract a wide range of birds to your garden. 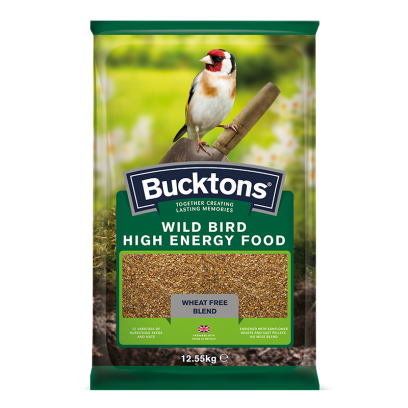 For use all year round, but particularly beneficial in the cold winter months due to the high energy seeds such as sunflower hearts and suet pellets. 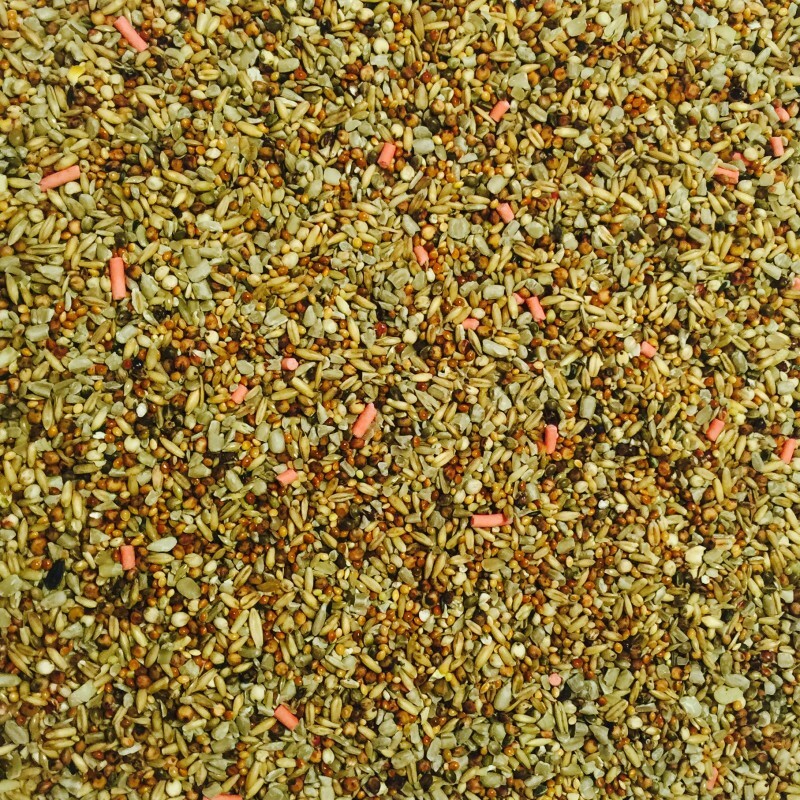 Red Dari, Naked Oats, Kibbled Sunflower Hearts, White Dari, Red Millet, Yellow Millet, Canary Seed, Nyjer Seed, Suet Pellets, Pinhead Oatmeal, Hempseed and Kibbled Peanuts. 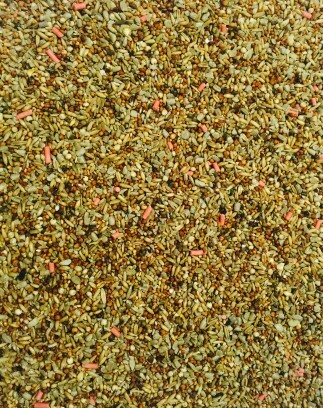 Our Premium high energy no mess blend will attract a wide range of popular garden birds. 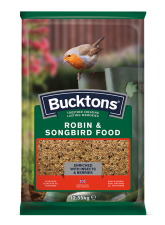 Designed to replicate natural dietary preferences of Robin’s and Songbirds, with the inclusion of fruits and insects. Can be fed either in ground feeders or on a table. 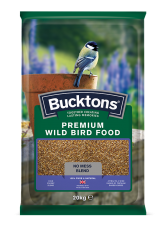 An appealing bird food mix for many common garden birds, with the consistent formulation it is a great choice for feeding garden visitors. 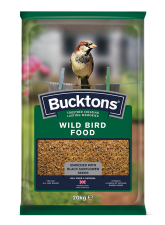 Easy to use in either a hanging feeder, ground feeder or on tables.